This 225,000 square foot state-of-the-art research tower was designed in two phases and consists of 8 levels with a partial systems basement, mechanical penthouse and helicopter pad / roof systems level. 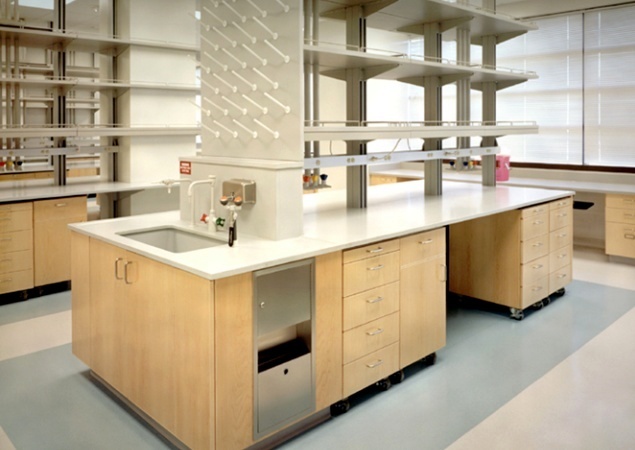 Phase I was 150,000 square feet and included a vivarium, essential laboratory support, and systems core to support the Phase II laboratory expansion programs. 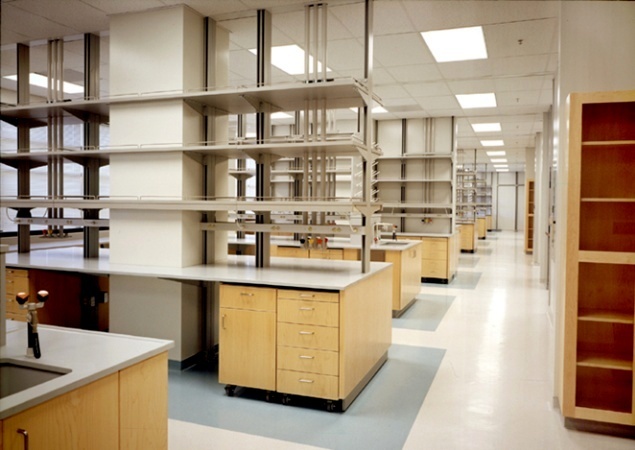 The second phase adds two levels of vivarium and six levels of generic laboratories. 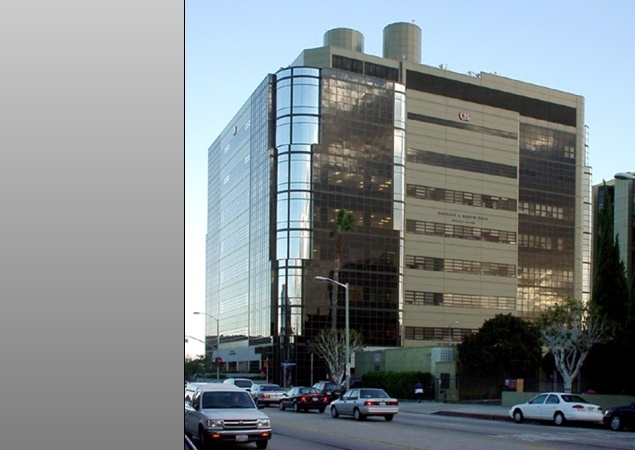 The facility’s exterior design harmonizes with the existing buildings at Cedars-Sinai, Los Angeles. The precast concrete base supports a dark bronze glass curtain wall accented by light bronze/olive metal panels. Curvilinear chrome glass elements highlight each corner and provide solar shading. The laboratory design links lab space with interaction zones via a race track corridor with core support located at the center. This design provides flexibility to consolidate existing programs and to accommodate future functions as required. Labs also feature exceptional exterior views and a well organized system of interior lighting and environmental systems control.